Securing a vacant property is much different than securing your home or office. There may be furniture staged in the property or the property might be empty. An empty property is a target for squatters and thieves. The last thing you expect when showing a property to a potential renter is a mess that resembles a makeshift bed, trash or worse... someone in the house. 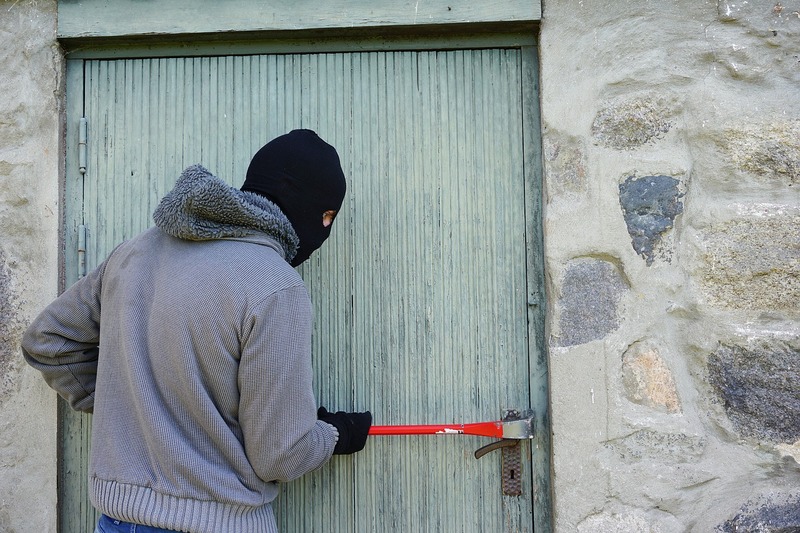 There are many reasons why someone would want to break into a vacant rental property. 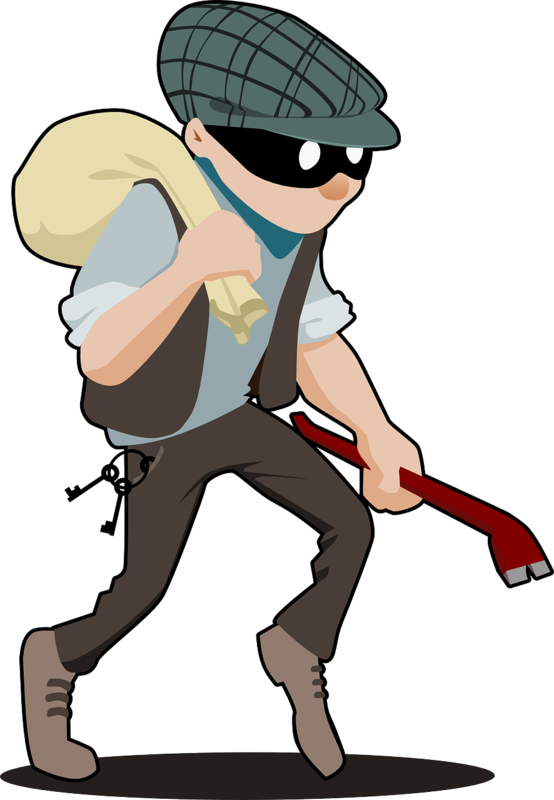 Leave a comment if you can you think of other reasons why someone might want to break into a vacant rental property? Or post your story to help create awareness. For most properties, the services and utilities will be off. Since power, telephone and the Internet may not be practical things to depend on, go a traditional route. 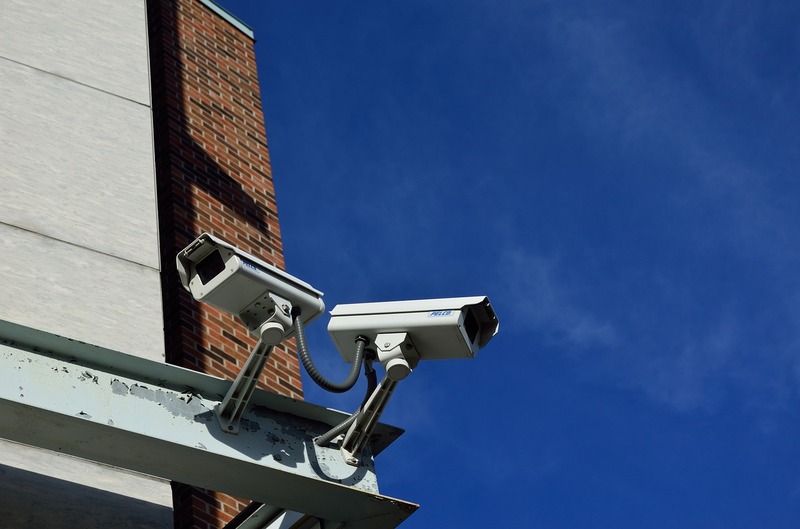 There are a few very easy security measures that can be used to improve security for a vacant property. As a property manager or landlord, it is important to get to know neighbors near your vacant property. Exchange contact information and check if one of them can park their car in one of the vacant spots. If able, attend a neighborhood watch meeting to keep an open line of communication. Some communities may discourage going to a neighborhood watch meeting, but more communication is always better than less. Be courteous to the neighbors. Watch where you park, how fast you drive on the surface streets and be careful to prevent the landscaper from starting too early. Basically, be a good neighbor. Standard locks on garage doors are easily forced open with a lever or crowbar, allowing a burglar access without detection. Cane bolts and hasps are excellent protection. Make certain each side of the garage door is secured to prevent prying open a crawl space. Using 3 or 4 inch C style clamps on the garage door track will also help. We recommend calling an overhead door company to evaluate the security of the garage door in question. Unplug the automatic opener. This does not prevent fishing with a hook, or forcing one side open and crawling in. If the garage door has a window, cover with sheer drapes or translucent window film. A window on a garage door could provide a visual for the thief to push in the top/center of the garage door and send a hook (wire hanger). This type of hook will open the latch that disconnects the door from the motor and a window will make fishing for that hook an easy task. This is a very common technique, lock the garage on the track and use an alternative entry to access. If no entry be sure to do what you can. Do not create an expected or repeatable schedule. Don't just show up only on Saturday afternoons. Ensure you create a random visit schedule. If possible, drive by more than once per day. It is important to maintain the property as if someone is currently residing. Lights at night help. Install sheer drapes inside the house and cover any garage windows. We recommend the Master Lock 265DCCSEN Dual-Function Security Bar , it works to secure standard doors as well. A 2x4 will work as well or a piece of PVC custom cut for each window. PVC will not work for a standard door. Purchase security surveillance signs and "Beware of Dog" signs. Video surveillance is not 100%. 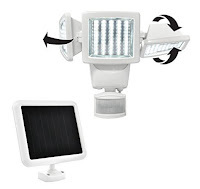 Make sure there is adequate lighting to ensure the night vision is working properly. Sometimes you might need to position the camera or the light in such a way that the brightness is moved away from the camera line of sight. There are many cameras on the market today. An Internet connected camera will likely have motion detection with notifications. A camera with a DVR should not require Internet access. Not all cameras have night vision and not all cameras are outdoor cameras. If you have Internet? You are in luck. You can purchase a security system that will allow for secure access via HTTPS (encrypted). Images and videos would be stored in the cloud for easy access. Internet access will also provide SMS, TXT or Email messages for notifications. Check www.alarm.com for one of the most comprehensive, professionally monitored systems on the market. While these security measures help reduce the probability of a vacant property break-in, experts agree that there is no full proof method to prevent burglaries. Sometimes a thief will try what is called smash-and-grab. They try to break-in and smash the security system then grab your stuff. Usually, that does not work very well in their favor as most systems today have safeguards against such a break-in. Get a siren with whatever solution you go with. Once a thief breaks in, they don't hang around if there is a loud siren going off. Keep track of all items on the premises. If the unfortunate situation occurs, you may need to file a police report, file a claim on insurance and provide a list of items vandalized or stolen. Serial numbers and owner manuals should be stored together and in a safe place. Snap and save many pictures. Both interior and exterior. You may need pics for insurance or authorities if something bad happens. Thank you for an amazing blog shared by you. It is really helpful in future also. Get the best cedar park overhead doors installation service from austintxgaragedoorsolutions.com. Hi Josh, Great you're thrilled with all the 357. I have got one myself since like 10 decades. I enjoy it also, not modded as yours nevertheless. Currently it doesn't work, it chokes when heat. Brought into a neigbour of mine and he'll find a deeper look at it. It seems just like some have had trouble working with the automated decompression valve, so does yours have that? We have selected a limited number of advertising affiliates to work with. Please help fund our efforts by shopping with our sponsors. MetRent & MetRent Logo are service marks of MetRent. Copyright © 2005 - 2018 All Rights Reserved. Simple theme. Powered by Blogger.